Keep an umbrella handy Saturday, as abundant moisture and warm temperatures in the upper 80s create a chance of hit-or-miss showers and storms in the afternoon. 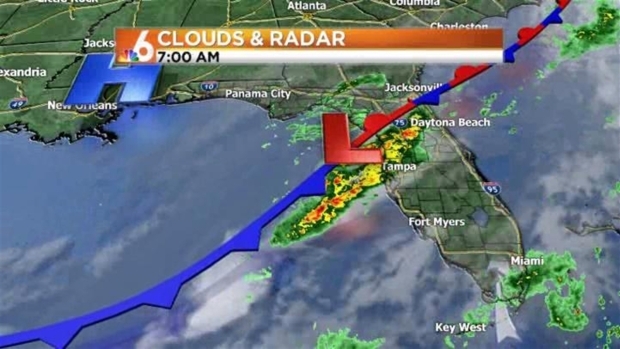 The possibility for showers will stay in place over night as a cool front swings over South Florida. Overnight lows will be in the lower 70s. Isolated showers will linger into Sunday before drier air filters in. Soggy start to our Saturday, especially across Southern Miami-Dade. An approaching cold front will allow isolated shower and thunderstorm activity for the remainder of the day. 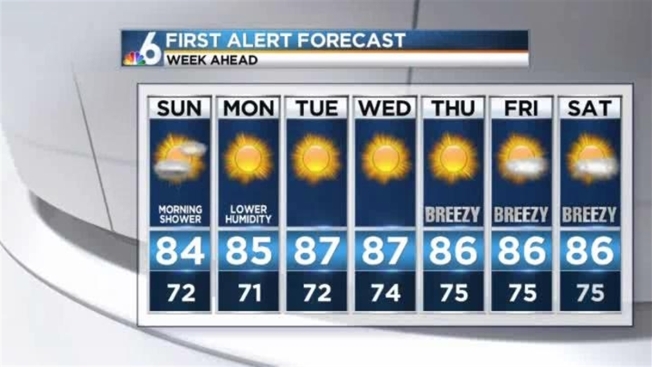 Expect mostly sunny conditions through the work week with temperatures back in the mid-80s. Highs will creep back into the upper 80s by the end of the week.